Last week I was mentioned on twitter as featured in Popular Crafts Magazine’s February issue! Today my copy of the magazine arrived and there we are! 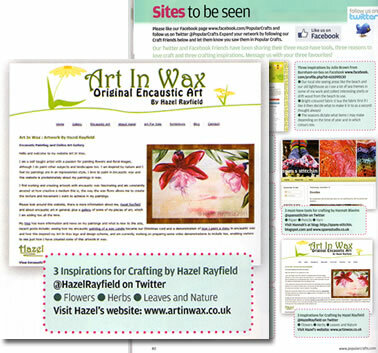 The Art In Wax website www.artinwax.co.uk featured on page 80 of the magazine in their “Sites to be seen” feature. Exciting seeing my name in print! Great fun seeing my name and website in print, to see my work as an encaustic artist mentioned in the media is very exciting. 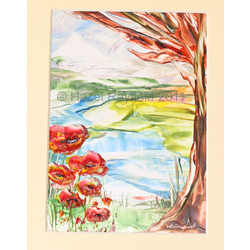 I also have an Art In Wax You Tube Channel too, where you can see in action, painting using hot wax and heat tools to create beautiful paintings.